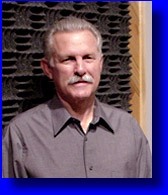 Jim Waller - Owner of Digital Image - BA in music composition, College of Creative Studies, University of California, Santa Barbara. Taught composing and arranging for jazz ensemble and directed two stage bands at Santa Barbara Community College. Started full-time faculty position at the University of the Incarnate Word, San Antonio, Texas in August, 2005 teaching Music Industry Studies I & II, Studio Arranging, Web Design and directing the UIW Jazz Ensemble. Fulltime professional musician from 1961 to present. Extensive touring of US and engagements in Canada, Mexico, and Hawaii. Member of jazz/rock group "Los Blues" during record 320 week engagement at the Sahara Hotel in Las Vegas. During 1967-1973 stay in Nevada, composed and arranged music for shows, musical director for "Miss International Showgirl" TV special at Dunes Hotel, played lead trombone with UNLV jazz ensemble, arranged and produced "Los Blues" Volume One LP for United Artists Records, appeared with Los Blues in European made film "This Is Las Vegas" starring Debbie Reynolds, Paul Anka and Connie Francis. After 1973, wrote arrangements for US Air Force Band, English recording group "The New Vaudeville Band", the SBCC jazz ensemble, salsa group "La Pedilecta", and numerous artists recording at Digital Image. In 1998, arranged and produced an orchestral recording of "America The Beautiful" for the US Air Force tribute to Bob Hope. Studio musician credits include: tenor sax solo on San Antonio Spurs "Fast Breakin' Fiesta" jingle, alto sax solo on KENS-TV Saturday Morning news theme, synthesizer on Augie Meyer's "White Boy" CD, tenor sax solo on "Nightrider 2000" TV film (NBC), keyboard on Jackie King's "Night Bird" LP on Columbia Records, and co-producing, arranging and performing on Randy Garibay's "Barbacoa Blues" and "Invisible Society" CD's. Artist/producer credits include: recordings released on Liberty, Era, Del-Fi, Warner Brothers, Arvee, United Artists, and the Production Garden music library which markets music for broadcast and video production internationally. Recipient of two ADDY's and three Communicator Awards for jingle production. Member of the American Federation of Musicians (AFM) and the American Society of Composers, Authors, and Publishers, (ASCAP). Bobby Flores - Part time staff producer/arranger and first call session musician - Violin, mandolin,guitar (electric, acoustic, and steel), bajo sexto and vocals. Attended Trinity University, San Antonio, Texas. Studied music theory, classical violin with Domenick Saltarelli, classical guitar with David Underwood and jazz guitar with Jackie King. Bobby first performed professionally at age 9. Formed first band in 1971 at age 13, played clubs and fairs, opening for Larry Gatlin, Tanya Tucker, Conway Twitty and Marty Robbins, to name just a few. 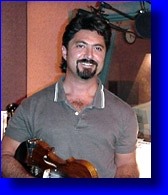 Over the years he has performed with numerous groups and recording artists including: Johnny Bush and the Bandeleros, Trinity University Community Orchestra, Barbara Fairchild, Darrel McCall, Emilio Naviara, David Kersh and Flores own band "Angel Fire", formed with his sister Sandra and brother Greg. Toured the US and Canada extensively with several of the above mentioned groups. In the mid 90's he started playing an occasional gig with country music legend, Ray Price, which resulted in a full time position as lead fiddle player for Ray and his Cherokee Cowboys from 1997 to 2000. He's appeared with Price on Austin City Limits, TNN Prime Time, and The Grand Ole Opry and perfomed at George Straight's Country Music Festival in the Alamodome and played several of Willie Nelson's 4th of July picnics. In The mid 80's he became a staff musician for several recording studios and today he is a first call session player at over ten studios in South Texas. He's been featured on over 100 LPs/CDs, including many by name artists. He's composed music for TV and radio ads that have aired in the US, Europe, and Australia. He's played on jingles for J.C. Penneys, Bud Light Beer, Fiesta Texas, Taco Bell, Subway, Pepsi , Coors Beer, etc... He was the featured guitarist on Jim Waller's "Jazz Festival" CD recorded at Digital Image for The Production Garden Music Library. Jim and Bobby are both part time staff composer/producers for the Production Garden. 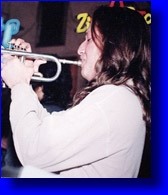 Al Gomez - First call session player /arranger , trumpet and flugal horn. Master of Music Degree in theory and composition from Southwest Texas State University, Bachelors of Music, University of Texas at San Antonio, also attended Trinity University, Incarnate Word College and San antonio Jr. College. Al has won numerous awards for his musicianship including Notre Dame Jazz Festival - Outstanding Musician Award, UT Austin Jazz Festival - Music Achievement Award, several music scholarships including one to Southwest Texas SU, a Grammy nomination, and Current Magazine Music Awards "Best Horn" in 1997 and 1998. He has performed, recorded, and toured with such well known groups as The Texas Tornados, The Latin Breed, Augie Meyer, Doug Sahm and "The Last Real Texas Blues Band", The Jazz Vatos and the San Antonio Symphony. Engagements have included; Utrecht Blues Festival in Holland (with Doug Sahm), Notodden Blues Festival in Norway, European tours with Doug Sahm and the Last Real Texas Blues Band, JAZZ'Alive in San Antonio (with Jackie King and the Jazz Vatos), Stockholm River Festival in Sweden and the Tejano Awards Orchestra. He's also accompanied such musical groups as The Temptations, The Four Tops, Tommy Tune, The Platters, Dennis Day, and The Fania All-Stars. Recordings have included; Texas Tornados "Four Aces" (Warner Bros.), Randy Garibay "Barbacoa Blues" , The Latin Breed "Born to Play" (Capitol Records), LIttle Joe y la Familia "Timeless" (CBS Records), Augie Meyer "White Boy" (Texas Re-Cord Label), such Tejano artists as Adalberto, Bob Gallarza, Sonny Ozuna, Rene y Rene, Joe Posada, David Marez, and many more. Extensive commercial jingle work at various studios for Coca Cola, Stroh's, Budweiser, etc.....Played trumpet on award winning big band "Becker Motor Company" jingle produced at Digital Image. Teaching experience includes; Substitute Teacher - San Antonio public schools (1974-85), Assistant Band Director, Holy Cross High School - San Antonio (1982-83), Graduate Assistant Music Instructor - SWTSU (1993-94), ocasional private students (1975-94) , and currently teaching several classes and private students at Palo Alto College, San Antonio, Texas. More staff members coming soon to this page! Doesn't that sound better than "Under Construction"